NEWSFLASH: Dry hand season is upon us. Great. If I’m not fully lubed up from now until March, you would mistake my mitts for an 86-year-old’s. Thankfully, there are a plethora of products to keep granny hands at bay. Here are my awards for the best. All-natural: HollyBeth Organics Orange Peppermint Shea Butter Cream ($25). Not only is this organic and smells like heaven (AND is local to Atlanta), it’s my absolute favorite and a total game changer. Put it on at night and wake up with new hands, I swear. 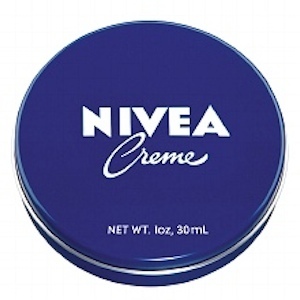 Most portable: Nivea Crème (travel size, $1-2). The old-school, iconic product (remember that list?) is a serious dry skin healer, and with the cute and compact baby tins at under $2 a pop (available at most drug stores), you can keep one in every handbag. 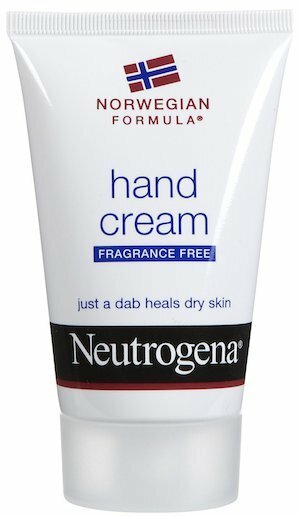 Best Bang for Your Buck: Neutrogena Norwegian Formula Hand Cream ($5-6). You most likely know this greasy gloriousness. Don’t plan on using your hands for at least 10-15 minutes after slathering it on, but it truly does work for the ultimate moisturizing relief and changes chapped hands for the better (best before bed). Anti-aging/SPF: Supergoop! 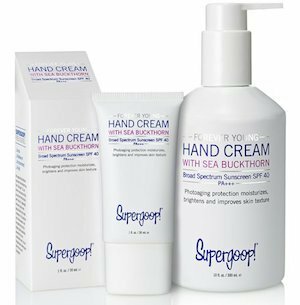 Forever Young Hand Cream with Sea Buckthorn ($11-$29.50). Hands shows signs of aging first and more than anywhere else on your body (thank God for distracting nail polish). Formulated with omega-7 fatty acid-rich sea buckthorn fruit, this anti-aging formula majorly moisturizes, protects with SPF 40, and even brightens/evens tone for a more youthful appearance. And the 10 oz. pump bottle is clutch for a quick convenience at home. 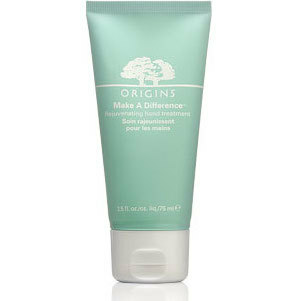 Silkiest: Origins Make a Difference Rejuvenating Hand Treatment ($16). I stole this from my mom last year and have zero regrets. Origins always nails it on the moisturizer front and this luxurious lotion is no exceptions. It repairs dry hands, smells divine, and feels so silky smooth (and I love a serene green tube). Find it at Macy’s and Sephora. Even if you don’t have any of these gems on hand, studies have shown that ANY type of moisturizer is better than none for keeping your hands protected and slowing granny hand syndrome. And always try to use SPF when you can.